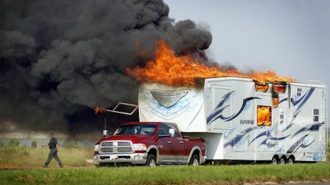 Renting an RV is awesome. But for the devoted camper, owning an RV usually turns out to be even better. However, that doesn’t mean there aren’t some surprises along the way. 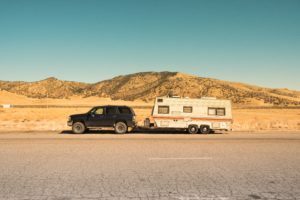 Even if you’ve gone on several RV trips in rental vehicles, you may find yourself dealing with a few curve balls once you’re in the market to purchase. 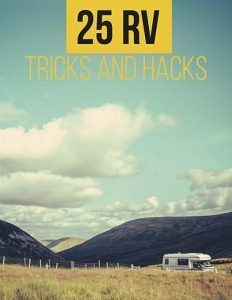 Although RV travel itself is fairly simple and accessible, there’s just a lot to know about these unique vacation vehicles! Ready to buy an RV? Not so fast! Here’s what you need to know before you get out your checkbook. 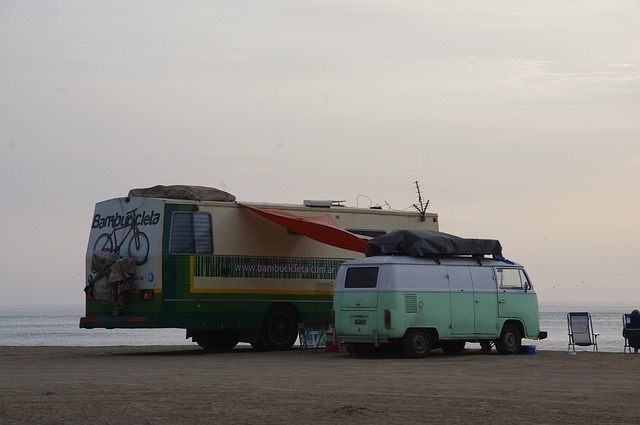 Many people look to RVing as a frugal form of travel. And the growing community of full-time RVers are often drawn to the lifestyle as a way to minimize their expenses and get debt-free. You’ll also need to set aside a budget for regular maintenance as well as unplanned repairs — because if you haven’t already figured it out, being on the road is all about learning to expect the unexpected. Don’t get us wrong: There are plenty of ways to make RVing a super-frugal and cost-effective travel lifestyle, whether you’re on the road full time or just a weekend warrior. But you should know from the get-go that it’s just as easy to drain your bank account on your new travel vehicle if you’re not careful! 2. In many cases, used RVs are actually better — and not just financially. RVs are just that: recreational vehicles. And just like your regular, around-the-town vehicle, they depreciate in value. That depreciation is especially steep if you purchase a brand-new rig. It’s not uncommon for you to lose 10-20% of the purchase price just by buying a factory-fresh vehicle off the lot. And if you’re on a budget, that fact can make purchasing a used RV look a lot more attractive. But here’s the secret: used campers are often a better bet, and not just financially. Given you’re looking at used campers that have been well maintained, are in good repair, and free of water damage, you often get added value from the previous owner’s customizations and fixes. Think about it. A brand-new RV could roll off the factory floor with defects that the dealership wouldn’t know about, having not taken it for an extensive test run. But if you buy a rig someone’s already owned for a while, they’ve had the time and experience with it to figure out what works and what doesn’t… and to fix at least a few of those problems. 3. That said… you’d better shop around. Don’t get us wrong: it’s totally possible to buy a lemon, especially if you’re looking exclusively at used vehicles. And when you make a private purchase, your transaction often lacks protections that may be in place on a traditional dealership floor. That’s why it’s imperative to give any RV you’re seriously considering a very thorough check-out before you sign even a single paper. At the very least, you’ll want to look in every single nook and cranny for any signs of water damage. In fact, if you can get a trusted mechanic to come with you to vet the rig before you make your decision, that’s even better. One of the best places to look for used campers for sale: RV Trader, which has a ton of customizable filters you can use to find the rig of your dreams. You can also check your local Craigslist page, as well as dealerships in your area, which often trade used RVs alongside new ones. 4. 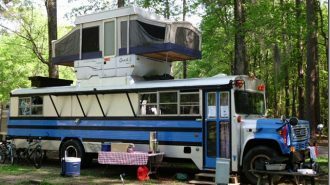 There are many different types of RVs. Even if you’ve just started your search, you’ve probably realized that RVs come in a variety of shapes, styles, sizes — and, consequently, prices and levels of luxury. While we’ve written an extensive deep dive on the various types of RVs available and how to figure out which one’s right for you, it’s pretty impossible to shop for a rig until you have some idea of the basic differences — so here’s a brief overview of the main categories. These are the big, bus-shaped motorhomes you might associate with singers or movie stars — and it’s true that many of the most luxurious and well-appointed rigs on the market are Class A RVs. 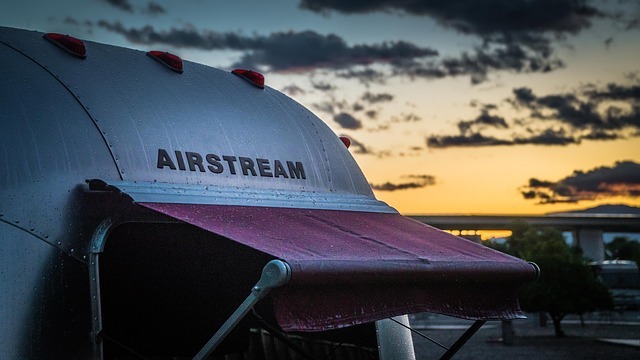 They can reach up to 45 feet in length and often feature multiple slide outs, as well as top-end appliances, full-sized kitchens, and a variety of sleeping surfaces for up to 8 or more passengers. However, you can also find smaller, more modest Class As that still carry the convenience of being self-propelled and well-built. Do keep in mind though that these large, heavy vehicles are pretty serious gas guzzlers; depending on your particular model, you might get as little as 6-8 miles to the gallon. Sometimes referred to as sleeper vans or camper vans, Class B motorhomes are definitely on the small end of the RV spectrum. But what they lack in space, they often more than make up for in flexibility. 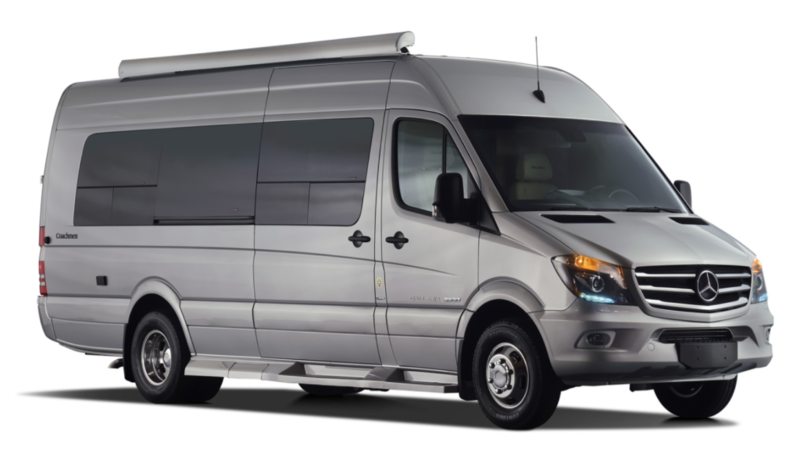 Class B motorhomes also come in a range of price points, from relatively affordable Westfalia vans or VW conversions to top-of-the-line Mercedes Sprinters decked out with the very best miniature versions of everything. 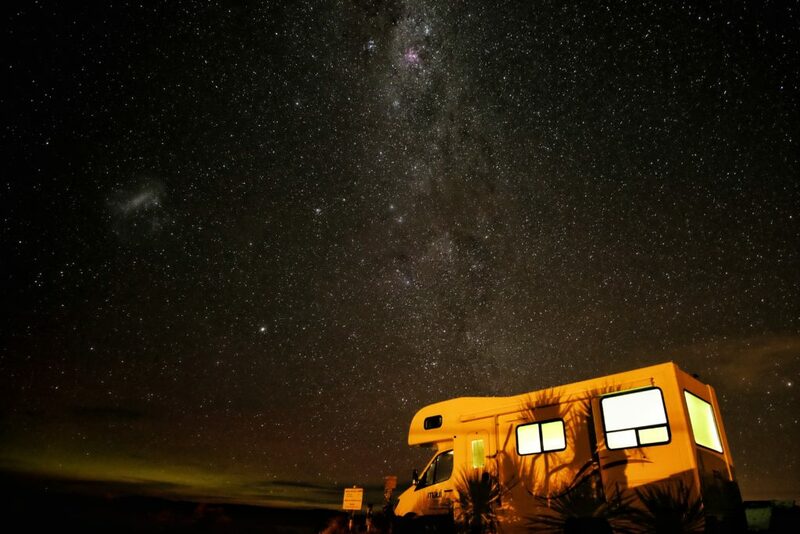 You might be surprised to learn that high-end camper vans frequently fetch $100,000 or even more — so don’t think that just because the RV is small, you can expect a small price tag! Class C motorhomes offer many of the same amenities and conveniences as their Class A cousins at a (generally) smaller price point. They’re built into standard truck chassis, which makes them relatively simple to operate even for those intimidated by the idea of RV driving — and their iconic over-cockpit attic space can be used for storage, sleeping, or to house a killer home entertainment system. Class C motorhomes do tend to be a little less luxuriously decked than Class As, and are more commonly available in smaller sizes. That means you might get more like 10-14 miles per gallon in one of these guys… while still being able to provide beds for your whole family! But one good thing about travel trailers is that they’re a whole lot more affordable than their motorhome counterparts, since you’re not actually purchasing an engine. So if you don’t already have a tow-capable vehicle, you’ll likely save enough cash on your RV purchase to be able to afford one! Because they don’t have to devote any space to a cockpit, travel trailers boast some of the largest and most well-laid-out living floor plans out there. In fact, some fifth wheel trailers with multiple slide outs may offer as much as 500 square feet of living space — that’s definitely bigger than some New York City apartments! Just keep in mind that setting up camp won’t be as easy as pulling over and putting the vehicle in park; whether it’s carefully leveling your fifth wheel or folding out your pop-up camper, most travel trailers do require some set-up when it’s time to make or break camp. Now that we’ve got some of the bare bones basics out of the way, let’s get down to brass tacks. What are the best — and worst — parts of RV ownership? We’ll start with the bad news first, mostly because there aren’t very many. Plus, you know the drill: always take the medicine before the spoonful of sugar! 5. 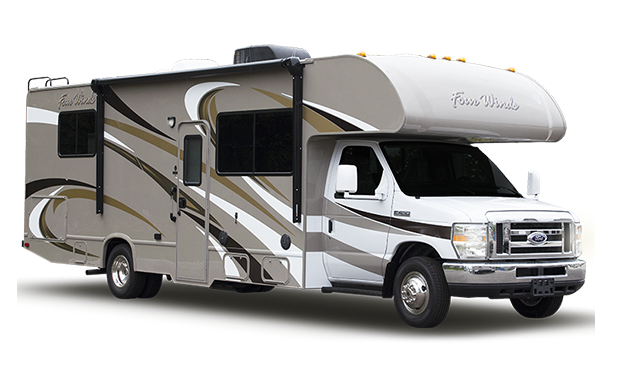 RVs do require regular maintenance — which can be expensive and time-consuming. 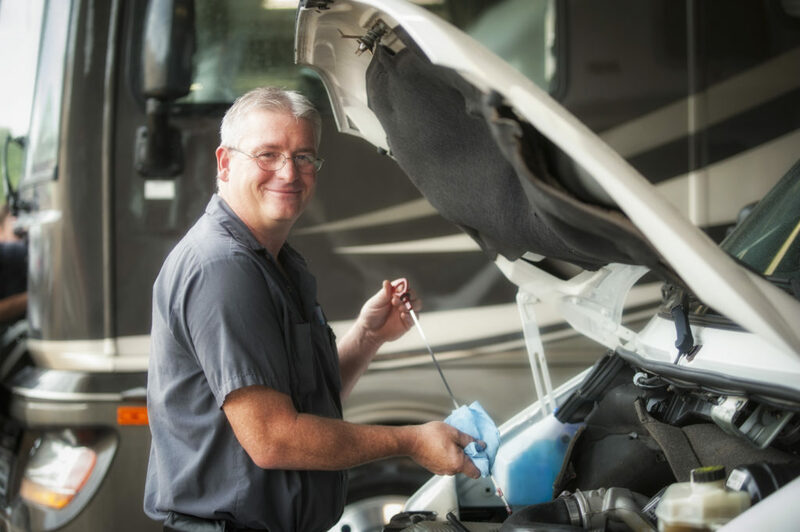 Well, an RV has all those same regular maintenance considerations… plus the extras to do with the appliances and amenities inside the coach itself. With all their seals and seams, RVs are also particularly prone to water leakage, which can spell major trouble — water damage is one of the main things that end an RV’s camping career. You’ll notice a variety of other things that can go wrong with your rig, as well. From the slide outs to the engine itself, things that rattle and shake on a regular basis break down — it’s just a fact of life. And if you don’t do your due diligence, you might find yourself paying an arm and a leg for a not-so-reputable RV repair service. Fortunately, setting a regular preventative maintenance schedule can help you circumvent a lot of age-related issues, and finding a trustworthy mechanic is possible. You’ve just got to do a little bit of research — here’s how! 6. 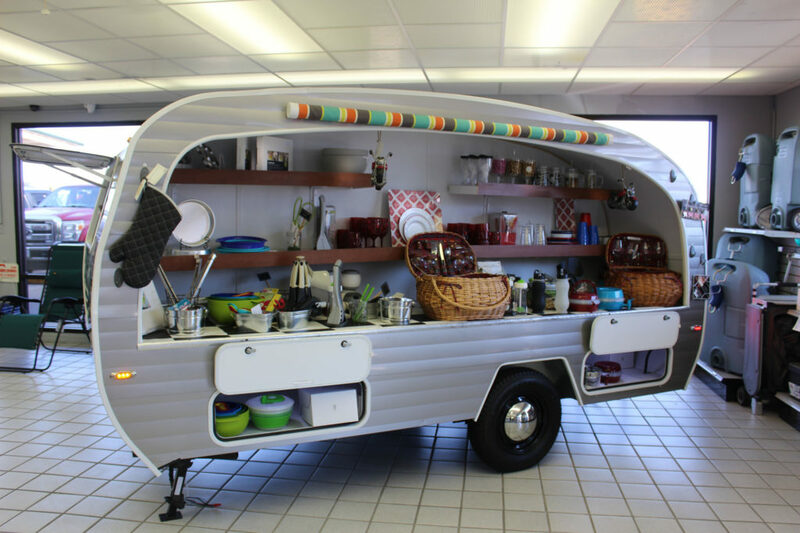 It’s easy to spend a small fortune on RV accessories! From spare RV parts to cutesy motorhome decor, you can easily eat away at your travel budget (and beyond) by purchasing small RV accessories. Don’t be fooled: Not every piece of cutesy camping gear will actually make your life easier. And if you get too much stuff, you’ll quickly find your rig turning from a cozy cabin into a claustrophobic, crowded one. 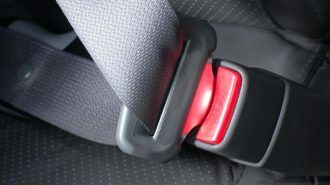 There are, however, some useful accessories and items that can make your trip more convenient. Here are some of our favorite pieces of essential camping gear. 7. Storing your RV might be easier said than done. Here’s the thing: Unless you’re planning on shifting into the full-time RV lifestyle, you’re not going to be camping all the time. And when your rig isn’t in use, it’s likely going to be put into storage… which can be an expensive logistical problem to solve if you don’t have room to park it at home. 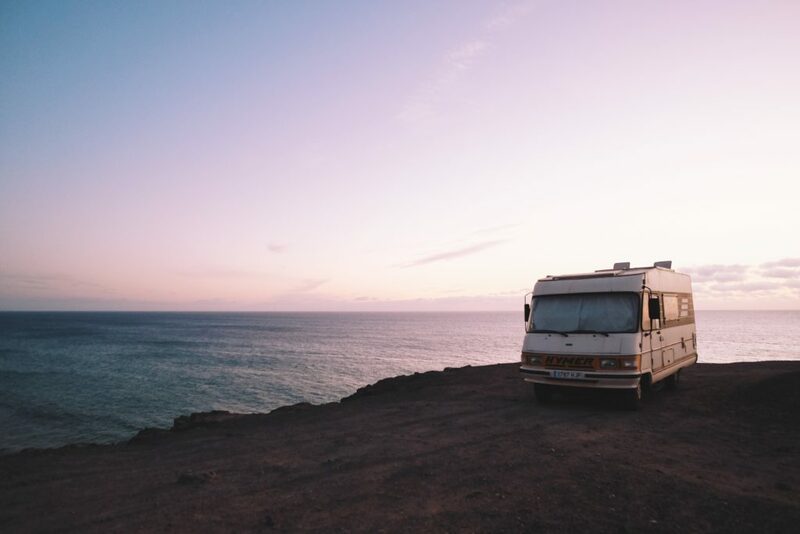 Furthermore, your RV is susceptible to dirt, dust, and age-related damage while it’s cooling its heels, especially if it’s not kept under cover. 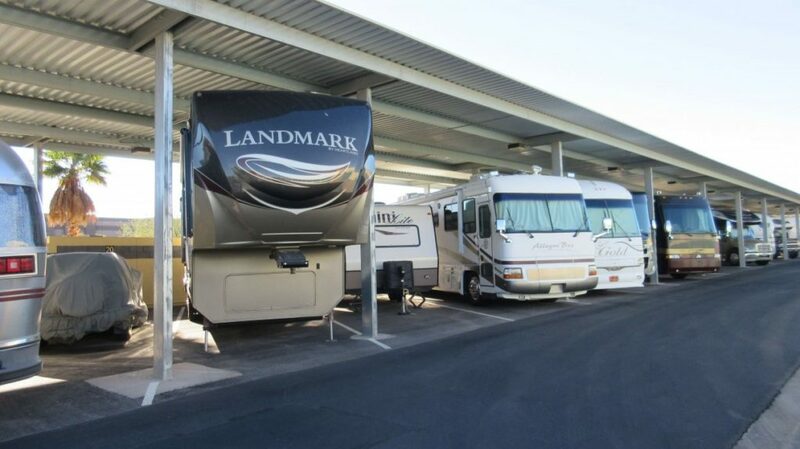 But covered RV storage is much more expensive than a regular old parking lot, which might already cost hundreds of dollars per month. We’ll go into more specifics about RV storage a little further on in the post, but for now, check out our archive of RV storage facilities by state and city. 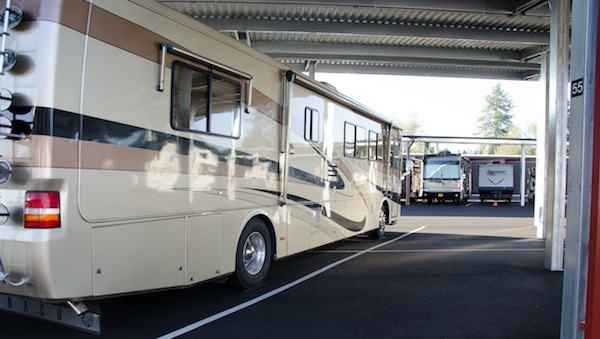 Even if you couldn’t possibly park in your own driveway, chances are there’s an RV storage option convenient to your area! So those are the cons out of the way. Onto the pros! 8. 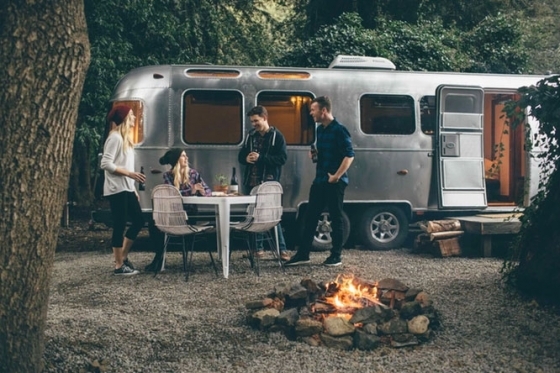 RVing will totally change your travel lifestyle — and you’ll probably do more of it as a result. New RVers aren’t necessarily — or even usually — new travelers. Chances are you’re attracted to this lifestyle because you’re a bit of a wandering soul. But even if you’ve done your research, it’s hard to understand the level of comfort and flexibility offered by even a modest RV until you’ve experienced it. RV travel offers all the convenience and flexibility that draws Americans to the open road along with the comfort of having your very own private bungalow along for the ride. When you travel by RV, you never have to worry about finding a hotel room — or grimacing to find it untidy or even unclean once you enter. You always know exactly when the sheets were last changed! 9. The RVing community is tight-knit and helpful. Whether you need a quick hand to help you ease into that back-in site or you just want some extra storytellers around the campfire, you’ll find that when you’re RVing, the people around you are like family — an adventuresome, rugged, handy family at that! And even before you set out on your first camping trip, you’ll benefit from the strength of the RVing community. Campers have created blogs, YouTube channels, forums, tutorials, how-tos, and all sorts of other online resources to help out newbies. 10. Yes, travel can be expensive… but there are plenty of ways to save big money on the road. As we mentioned above, RVing isn’t necessarily synonymous with minimalism. 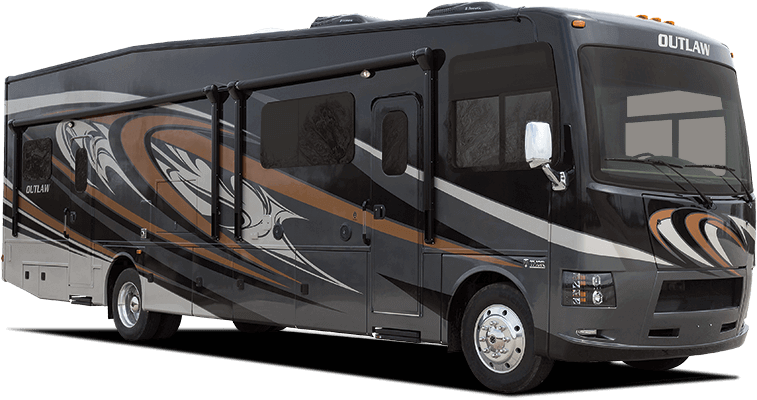 You could spend as much as a million dollars on a 45-foot Prevost, and that’s before you even roll it off the lot. For instance, there are a variety of discount camping clubs that can get you exclusive perks and savings, like Passport America, which gets you 50% off your campsite accommodation fees at almost 1900 developed campgrounds across the country (and in Mexico and Canada!). 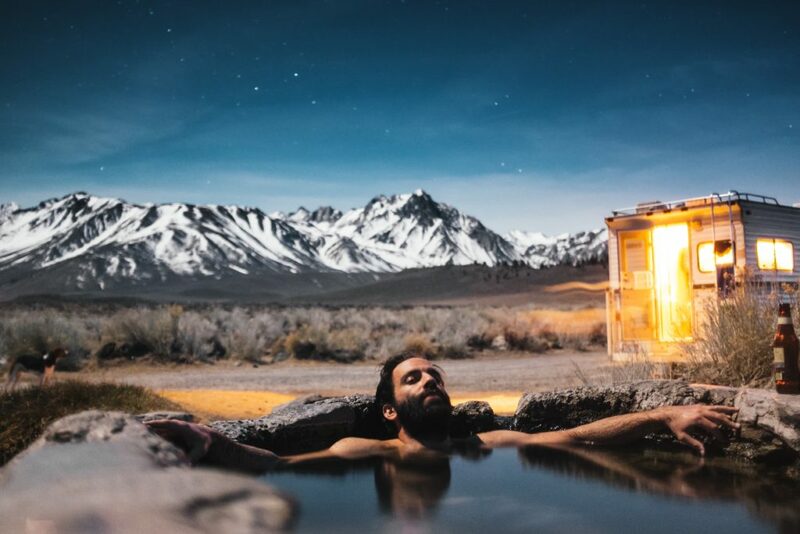 You can also save cash just by customizing your vacation — by boondocking instead of relying exclusively on resorts, for instance. Not only are wilderness campsites cheaper, but they’re also often a lot quieter and prettier than developed campgrounds! Even if you’re an experienced car- or tent-camper, RV camping may come with some surprises. 11. There are lots of different styles of RV camping — from luxurious resorts to out-and-out roughing it. 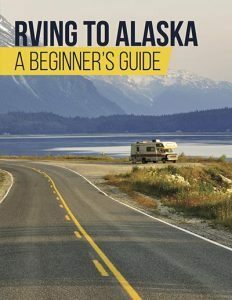 Depending on the resources you’ve relied on thus far (and your experiences with rental RV camping), you may have a very specific idea of RV travel — be that soaking up the shore power and water at a resort-style campground, like Jellystone Park, or getting yourself as far off the grid as possible. But in fact, on of the most attractive parts of motorhome travels is how versatile and diverse they are. You can live in the lap of luxury at a fancy, exclusive RV park… or totally unplug in a remote boondocking campsite. The choice is yours — and hey, once you own your very own RV, you’ll have ample opportunity to try both. Keep in mind, however, that different types of camping can mean wildly different expenses. 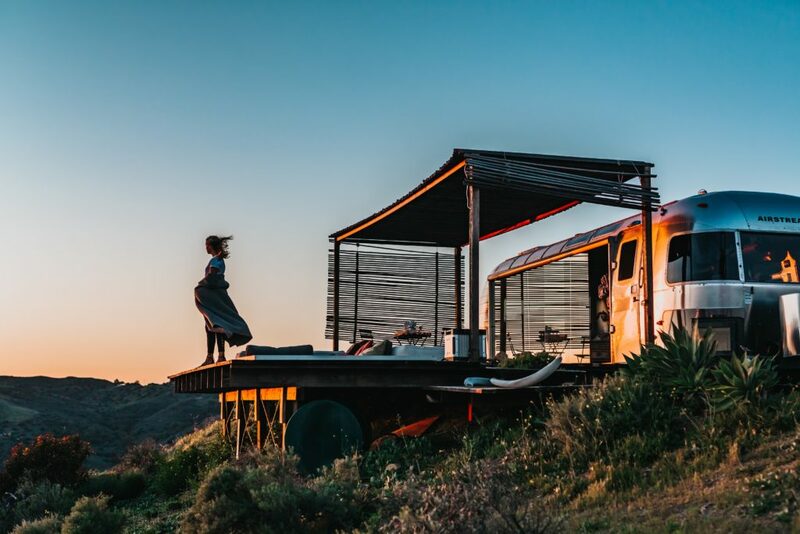 Amenity-filled resorts in high-demand travel destinations could charge as much as $100 per night or even more, while boondocking is usually downright free. It’s definitely worth finding a balance — both to diversify your personal travel experiences and for your bank account! But depending on where you live, it might not be as simple as parking your RV in your own driveway. Some residential areas won’t allow you to keep such a large vehicle, even if you do have the space. Fortunately, though, there are lots of RV storage solutions. Here’s what you need to know before you stow. 12. If you can’t keep your RV at home, you can rent space in a storage facility. Of course, just like the rent or mortgage you pay to keep a roof over your head, housing your RV isn’t free. 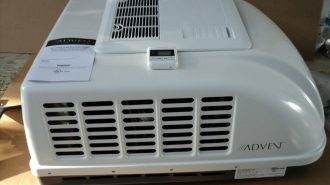 Depending on the specific storage location and its features (i.e., indoor/outdoor, temperature controlled or not, etc), you could pay as little as $50 per month… or as much as $450. 13. It’s absolutely essential that you cover your RV while it’s in storage. Unless you’re keeping your RV at an indoor, temperature-controlled facility, your rig’s exterior is vulnerable to damage — dust, debris, water, and ultraviolet radiation. All of these can wreak havoc on your motorhome’s finish, which can hasten the arrival of every RV owner’s worst nightmare: water damage. 14. And you’ll need to make some other pre-storage preparations, too. Depending on how long your RV’s going to be out of commission, you could wind up walking into a rig with unpleasant odors, an insect infestation, mold, or worse — if you don’t take the time to make the correct storage preparations, that is. Fortunately, it doesn’t take too much effort to get ahead of entropy. 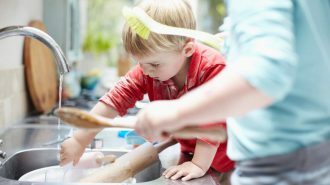 Just be sure to give your RV a thorough cleaning both inside and outside (hint: especially don’t forget anything that might be languishing in your refrigerator!). 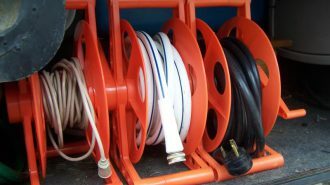 Pre-storage is also a great time to check for signs of water damage, and to give your RV’s seams and seals a thorough examination. Extend their lifetime and protect your investment by giving them a nice spray of seal conditioner and protectant, especially if your RV has a slide out. 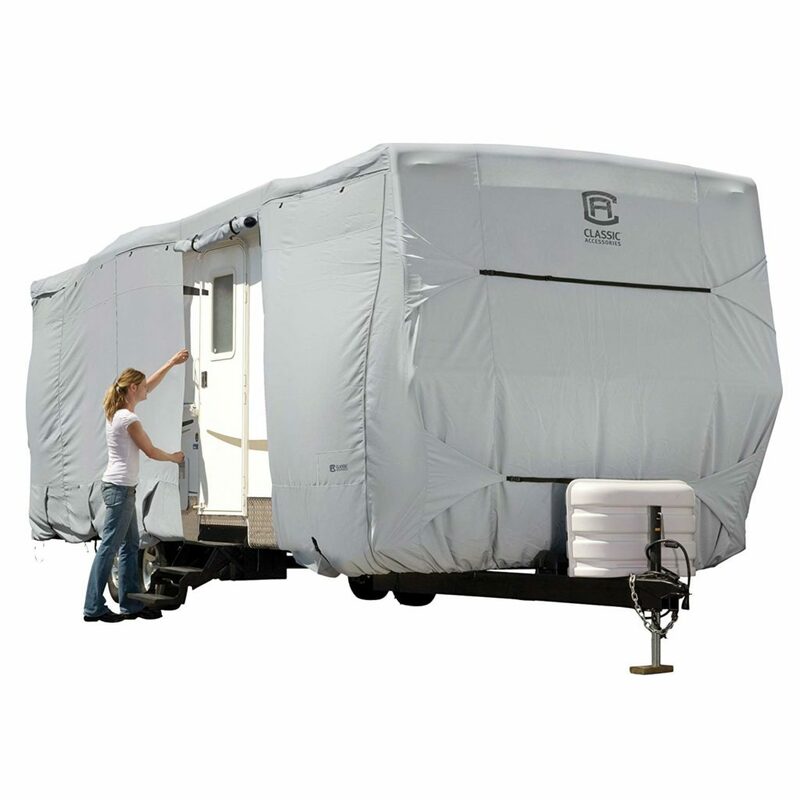 You’ll also want to ensure your rig is well-ventilated, especially if you’re opting for a tarp-style RV cover. Lack of air flow can cause humidity to build up inside the cabin, which can cause mold and damage sensitive mechanical equipment. 15. Psst — there’s another option for when you’re RV’s not in use: renting it out to others! Seriously, though: Offering your rig up for rent is a great alternative to sticking it in storage, especially if it’s going to be a while before your next trip. Not only will you save the money you would have spent on the storage facility, but you’ll likely even make enough profit to offset some of the other costs of the vehicle. In fact, many RVshare owners report enough rental earnings for their RVs to pay for themselves! How can I Rent My RV for Profit? When you list your rig with RVshare, the private RV rental transaction is safe and easy. All your financial and communicative activities take place through the platform, so you can rest assured that your information stays secure and private. 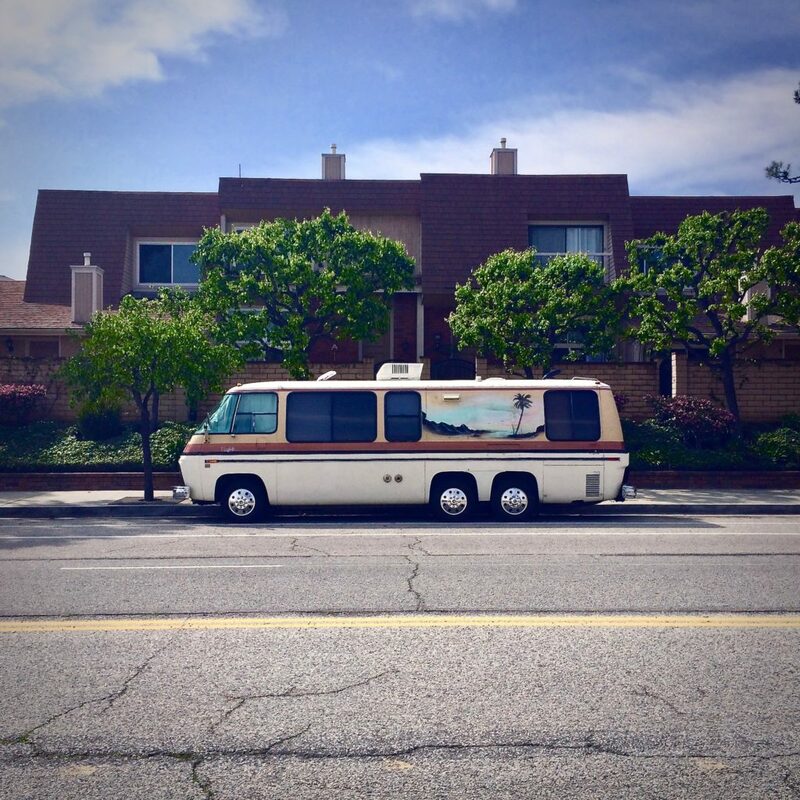 Furthermore, RVshare takes care of all the logistical footwork that can complicate private rentals. For one thing, the company covers every rental with comprehensive and liability insurance backed by A-rated firms, and they even provide 24/7 roadside assistance to your renters, completely free of charge. And you always have total control over who, how, and when your RV is rented. We know handing over those keys can be scary, so we want you to feel comfortable throughout the process! Purchasing an RV of your own is a rewarding way to prioritize travel in your life, and we’re thrilled to be here to help you learn more and make your decision. 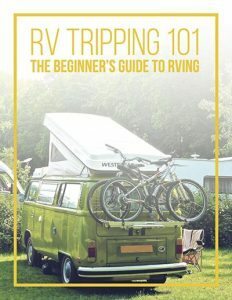 Looking for even more RVing tips and tricks — both during the purchase process and for your first camping excursion? 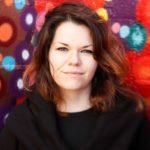 Here are just a few RVshare blog posts to help you out. New vs. Used: Which RV Should you Buy? You Bought a Travel Trailer: Here’s What you Need Next! Happy camping — and a pre-emptive congratulations on the big purchase!